Free Spirit Publishing, 2017 / ISBN 978-1631981739 / ISBN-10: 1631981730 / Grades 3-6 112 pages / Includes pages that may be photocopied for individual use. New & Updated 2017 Edition!! Fun new details, with the same humor and practical ideas. 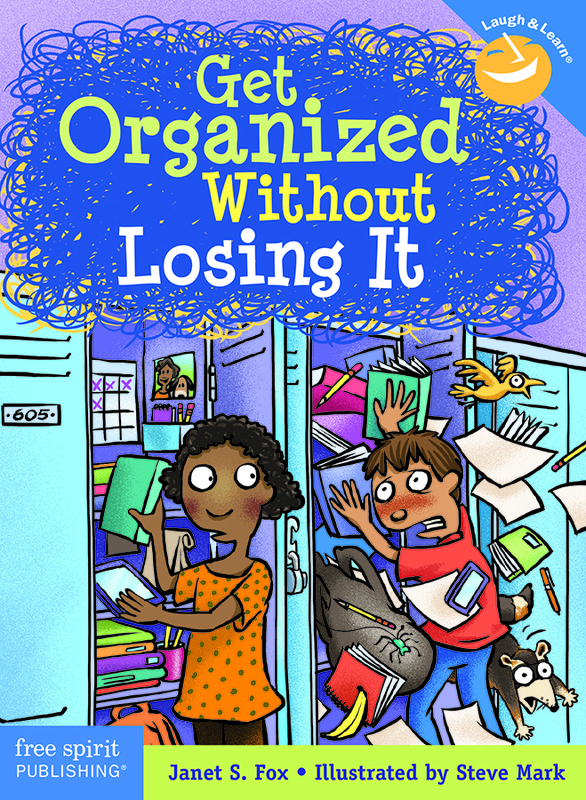 Kids: If your desk is a disaster, and your locker is a shocker, this book is for you! Full of you-can-do-it ways to manage the major messes in your life, “Get Organized” will help you put your stuff in order, manage your time, plan your work and work your plan. It’s a sure-fire way to turn stress into more free time! Parents and teachers: One of the books in Free Spirit’s Laugh and Learn series, “Get Organized” will help the kids you know who have issues with their stuff, or with time management. National Association of Parent Publications Awards (NAPPA): 2006 award-winner. Midwest Independent Publisher’s Association (MIPA) Midwest Book Awards: 2007 merit award.